BANGKOK — Shares were mostly higher Tuesday ahead of President Donald Trump's State of the Union address to Congress. European benchmarks advanced, with Germany's DAX up 0.6 percent at 11,241.44 and the FTSE 100 in Britain jumped 0.8 percent to 7,093.36. France's CAC 40 added 0.5 percent to 5,027.24. Wall Street looked set for a cautious start, with the future contract for the Dow Jones Industrial Average flat at 25,186.00 and that for the S&P 500 also almost unchanged, at 2,720.30. The White House said Trump will call for unity and optimism and highlight the strength of the economy, while pushing for policies to keep it booming. But uncertainties remain over the possibility of another government shutdown and of a further flaring of the tariffs war with China. It will be Trump's first address to Congress since the Democrats regained their majority in the House of Representatives in the November elections. 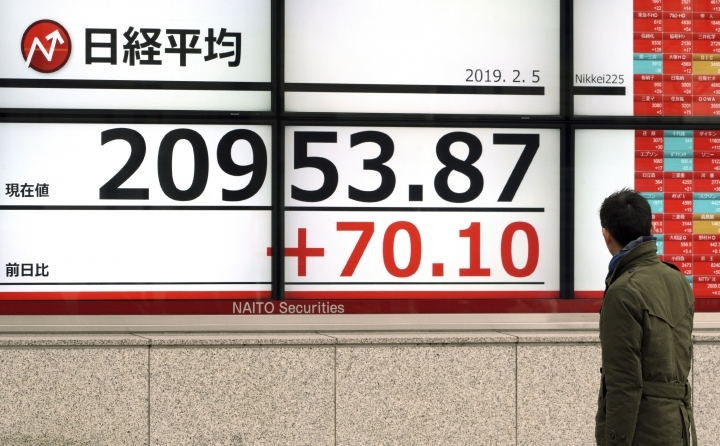 In Asia, most markets were closed for lunar new year festivities, though Australia's benchmark surged 2.1 percent to 6,017.20 following a report on a probe into banking malpractices that was less severe than anticipated. 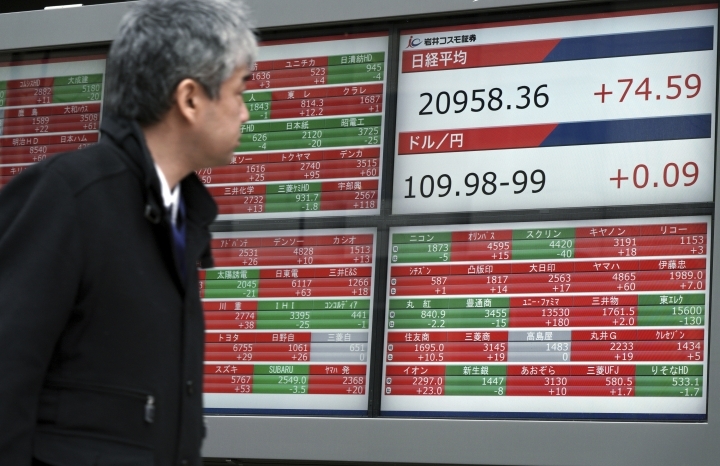 Japan's Nikkei 225 slipped 0.2 percent to 20,844.45. AUSTRALIA BANKS: Three of Australia's largest banks could face prosecution following a yearlong investigation into widespread abuses. The inquiry recommended tougher oversight and better consumer safeguards, as Commissioner Kenneth Hayne referred 24 incidents of misconduct to regulators for further investigation and possible civil or criminal charges. The banks in question included Commonwealth Bank, ANZ Banking Group and National Australian Bank. Westpac Banking Corp. was not included. Those big four banks gained more than $20 billion in value on Tuesday as relieved investors welcomed the recommendations. ENERGY: U.S. crude lost 9 cents to $54.47 per barrel in electronic trading on the New York Mercantile Exchange. It fell 1.3 percent to settle at $54.56 per barrel in New York. Brent crude, used to price international oils, gave up 16 cents to $62.35 per barrel. It slipped 0.4 percent to close at $62.51 per barrel in London. 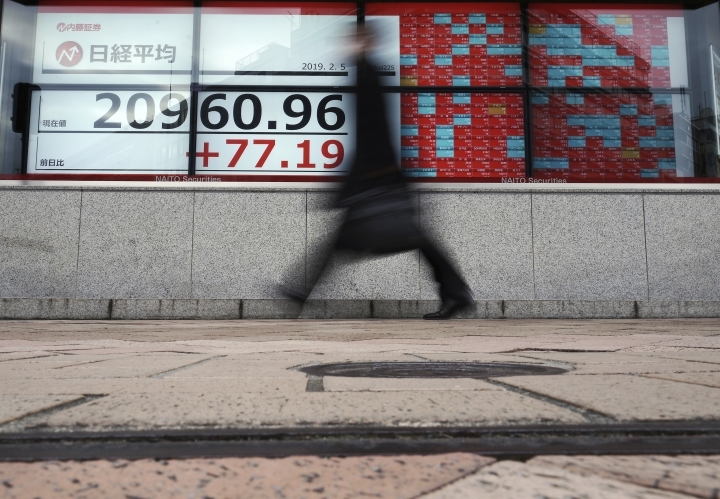 CURRENCIES: The dollar was flat at 109.89 yen on Monday. The euro weakened versus the dollar to $1.1414 from $1.1438.